All Gardening Lawn Service are a leading lawn care provider in London and Harrogate and since 2004 they have been providing top quality residential lawn care as well as landscaping and horticultural workshops. Phil, from All Gardening was called upon to lay a new lawn at a property in Middlesex for some, in his words "super keen gardeners" who would demand only the best workmanship. As part of the project, Phil decided to use EverEdge ProEdge BP1 (100 x 2500 x 2.5mm Brown). The ProEdge range was perfect for forming both the sharp angles and the smooth curves needed to create a beautifully finished lawn. 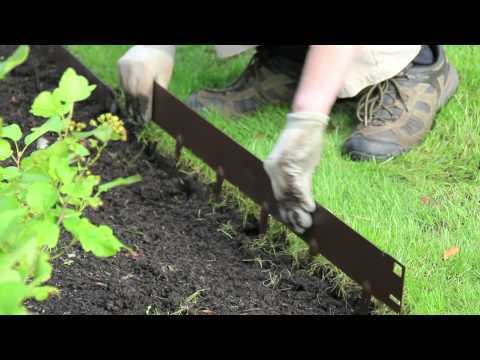 Once installed, the EverEdge ProEdge landscape edging product is virtually invisible but the owners will always know that it is there and it will cut down on the need for maintenance for many years to come.